Toyota Motor Corp. ruler of the world's automotive sales from 2008 to 2010 is back. Japanese manufacturers were re-occupied the # 1 sales position after the first three months of 2012 recorded sales of 2.49 million units. 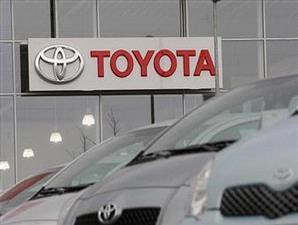 Toyota sales depose two previous rulers, the GM 2.28 million and 2.16 million units of Volkswagen. "They have high competition and re-recorded the best sales," said Jeff Schuster, senior vice president of LMC Automotive Forecasting in Troy, Michigan, United States. "They have a new product in the world that help sales as new Camry and the Prius family." Toyota became the world's number one manufacturer in 2008 when the American auto market hit by the crisis and bankruptcy. GM took over last year and manufacturer based in Wolfsburg, Germany, VW, climbed into second place. Toyota slipped to third place due to lack of supplies following the Japan earthquake and tsunami, and flooding in Thailand. Globally, Toyota sold 7.35 million cars last year. For fiscal 2013, Toyota hopes to increase its sales 18 percent to 8.7 million units.